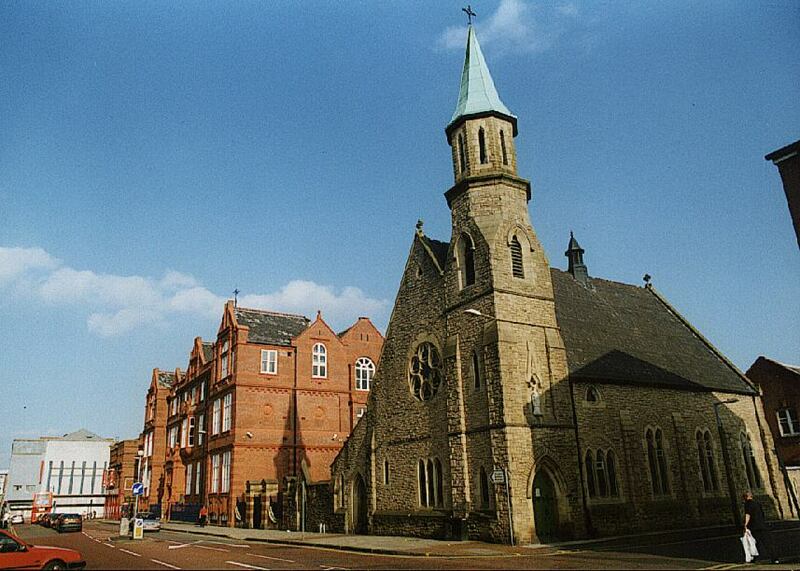 This is St. Patrick's Catholic church. 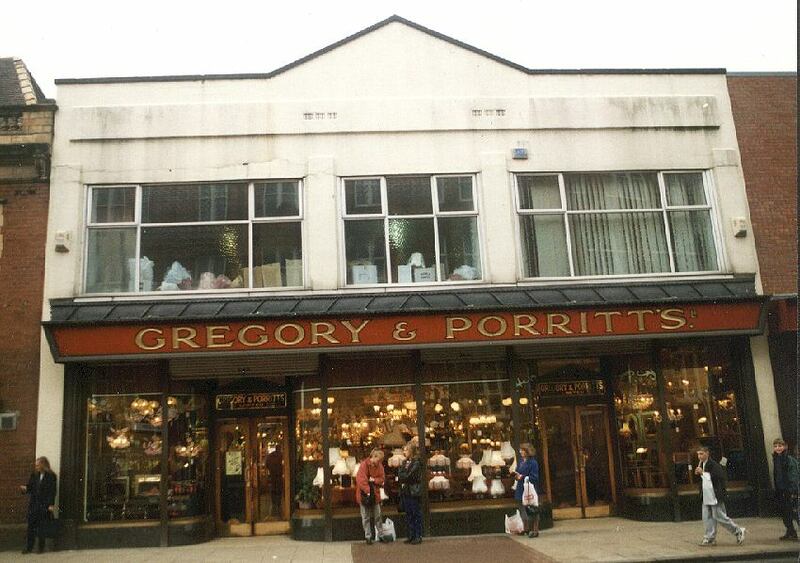 Gregory and Porritts are a long established store, specializing in lighting, but also has general hardware. This store has now closed, but reopened as another mainy furniture store. 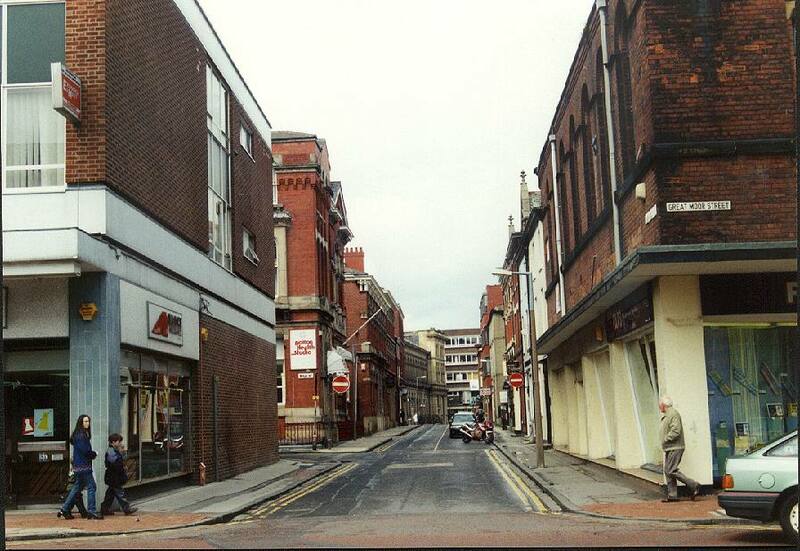 This will take you to the (now closed) Cannon cinema and Laserquest, and you can go north or south along Bradshawgate. 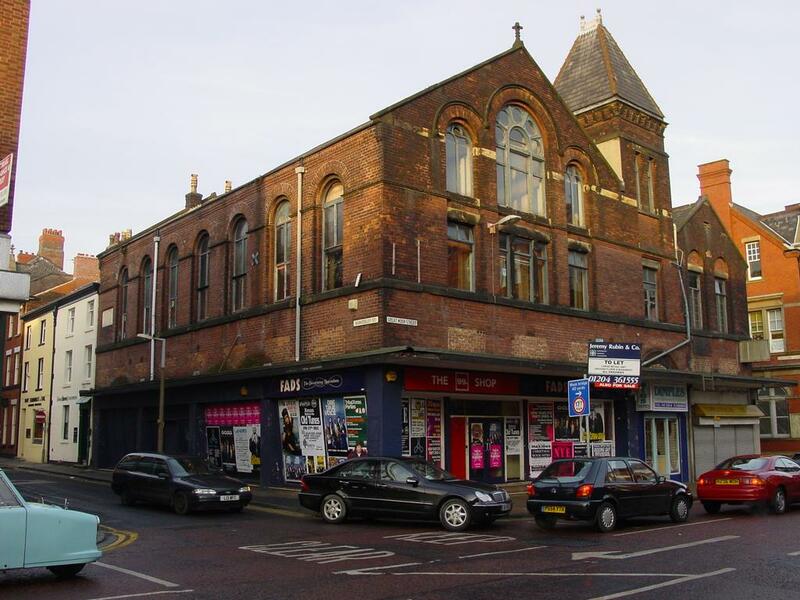 On the right of the picture is the Great Moor Street annex of Bolton Institute. 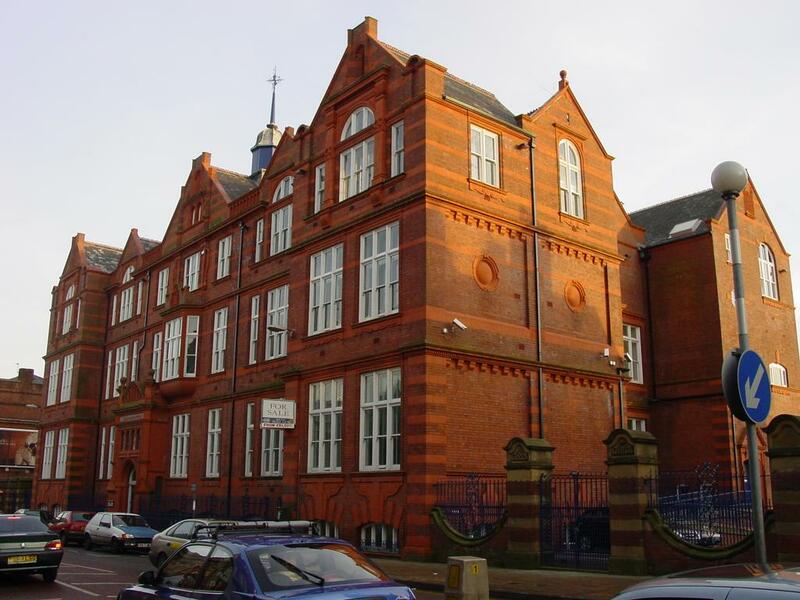 On the left, second building, is the old Turkish Baths, which used to be home to the housing advice centre. 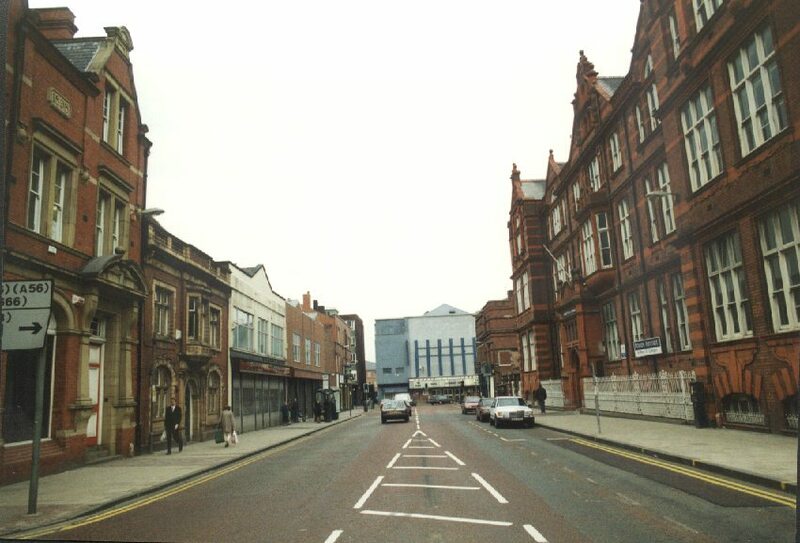 Leading towards the Water Place and Newport Street. 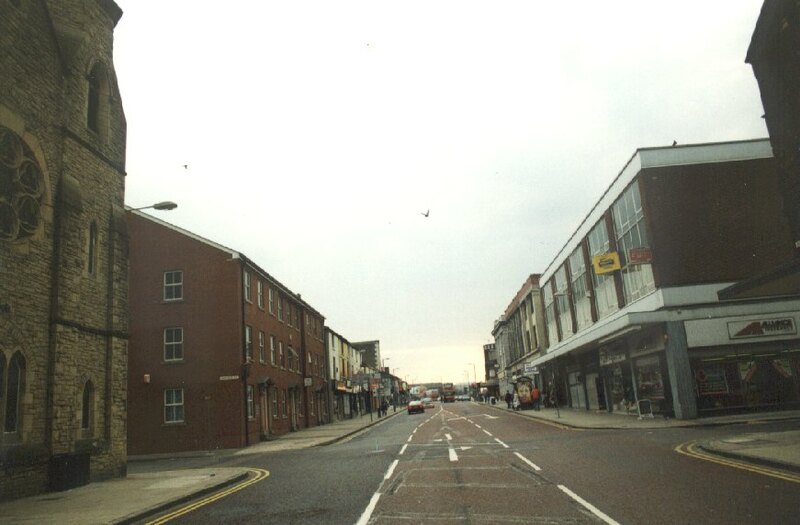 The corner of St. Patrick's is on the left of this picture. The shop unit below is unused. Close up. 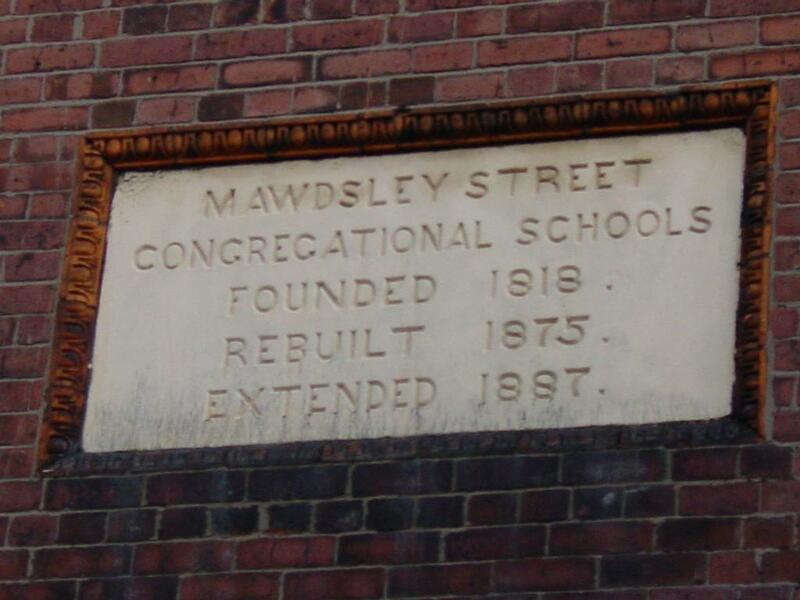 Mawdsley Street Congregational Schools Founded 1818 Rebuilt 1875 Extended 1887.
which will take you to Exchange Street, past a few interesting buildings. These have recently been converted into flats. 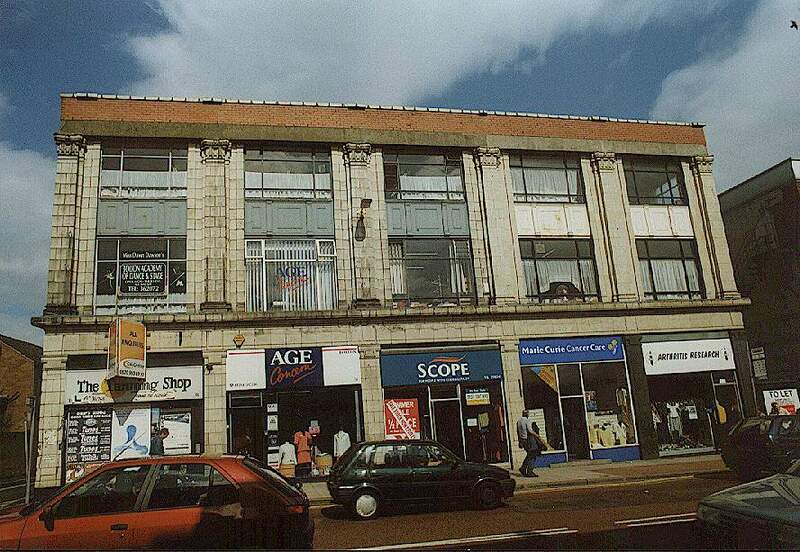 This was the former arts annex to Bolton Institute.